Thanks to Douglas Kent (YG 86) and on the OS Committee for drawing this to our attention and for summarising the findings. 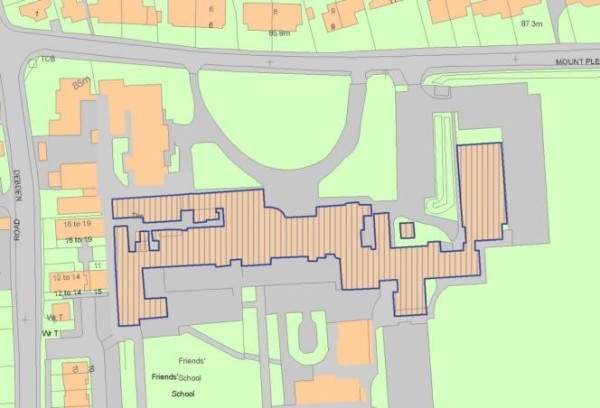 Historic England – the government’s expert adviser on England’s heritage – recommended in November 2018 that none of the buildings on the former Walden School site be listed. This was in response to applications to Historic England from both Saffron Walden Town Council and Uttlesford District Council supporting listing. While the designation decision is open to challenge for 28 days, there are felt to be no grounds on which to do this given that the notification report is factually correct and further information would need to come to light that could have a bearing on the decision. On a more positive note, Uttlesford District Council extended the Saffron Walden Conservation Area in early 2018 to embrace the whole of the former school grounds (not, as previously, just the front part along Mount Pleasant Road). This follows overwhelming public support for an extension during a consultation in 2017, despite opposition from the school’s administrators at Grant Thornton. The Conservation Area status means that the developer who now owns the property has to obtain planning permission for a change of use or alterations that affect the external appearance, including demolition of any substantial building or structure or the felling of trees with a stem diameter exceeding 75 mm as measured 1.5 m above ground. Planning permission would also now be required to move the Croydon Gate. Any application for planning permission for new housing within the former Walden School grounds will now need to be judged, too, in terms of its impact on the character and appearance of the Conservation Area. Furthermore, Uttlesford District Council locally listed the school in October 2018 (along with, incidentally, the Quaker Meeting House in the High Street). Locally listed status is a material consideration when determining planning applications and the desirability of preserving the special interest of the heritage should be taken into account. Additional protection to the former school site is also afforded by most of it being designated as ‘Protected Open Space for Playing Fields’; and some of it along Mount Pleasant Road and in the south-east corner being ‘Protected Open Space of Environmental Value’.